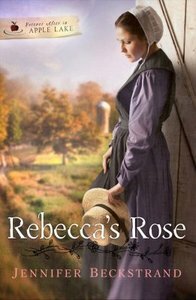 With her mother ill, Rebecca Miller must take care of the house, the farm, and her younger siblings. Although she feels trapped at times, Rebecca is determined to fulfill a promise made to a dying friend. Then she meets a boy with good looks and a mischievous glint in his eye who just might help her keep her vow. Levi Cooper was born into an Amish community and lived there until his father died and his mother married an Englischer. When shunned by their Amish relatives, they lived as Englischers. Now haunted by painful memories and on the path to self-destruction, Levi meets a lovely Amish girl who is looking for adventure. Rebecca’s growing attachment to Levi could lead to the loss of everything she holds dear. And will the secrets he keeps separate them forever? About "Rebecca's Rose (#02 in Forever After In Apple Lake Series)"